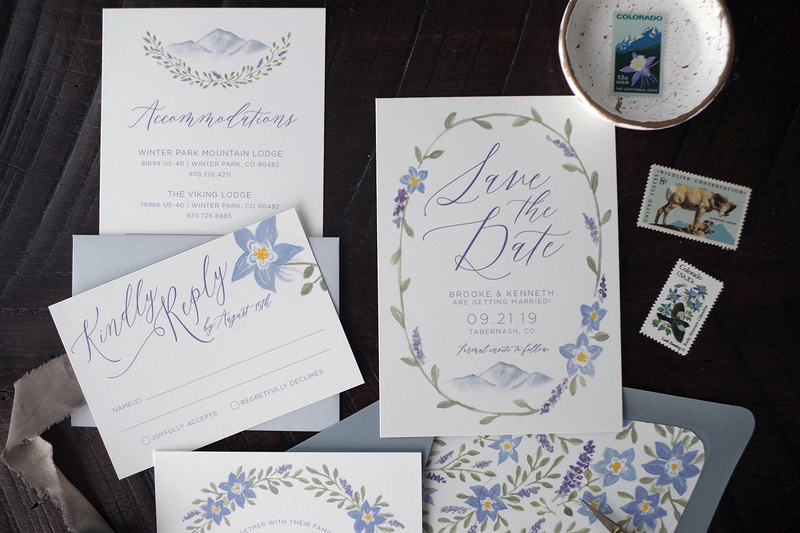 Our new Brooke Suite is an homage to Colorado with dusty blue mountains and watercolor painted Columbines – the state flower! 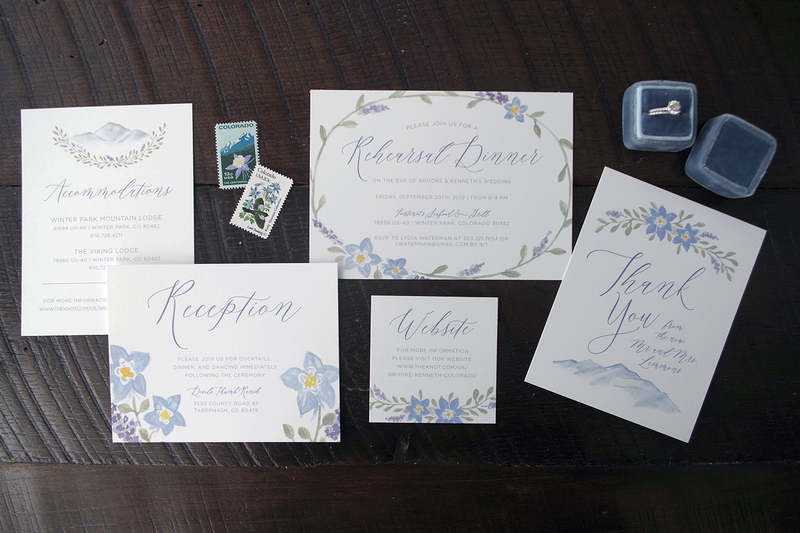 Last year we designed a similar suite for Alex & Drew and now we’ve expanded their invitations with more color and columbines to add to our affordable Collection – ready for personalization in our Etsy Shop! 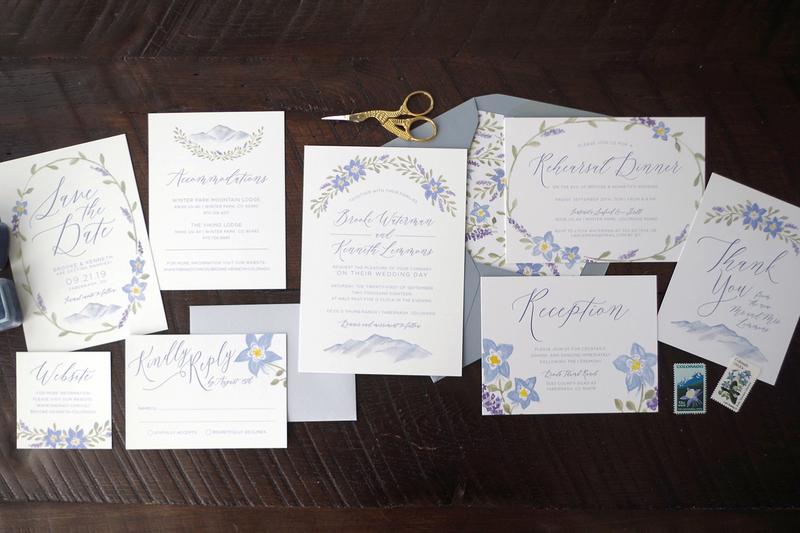 This hand painted suite incorporates blue columbines throughout on organic green garlands with lavender speckled in for added color. 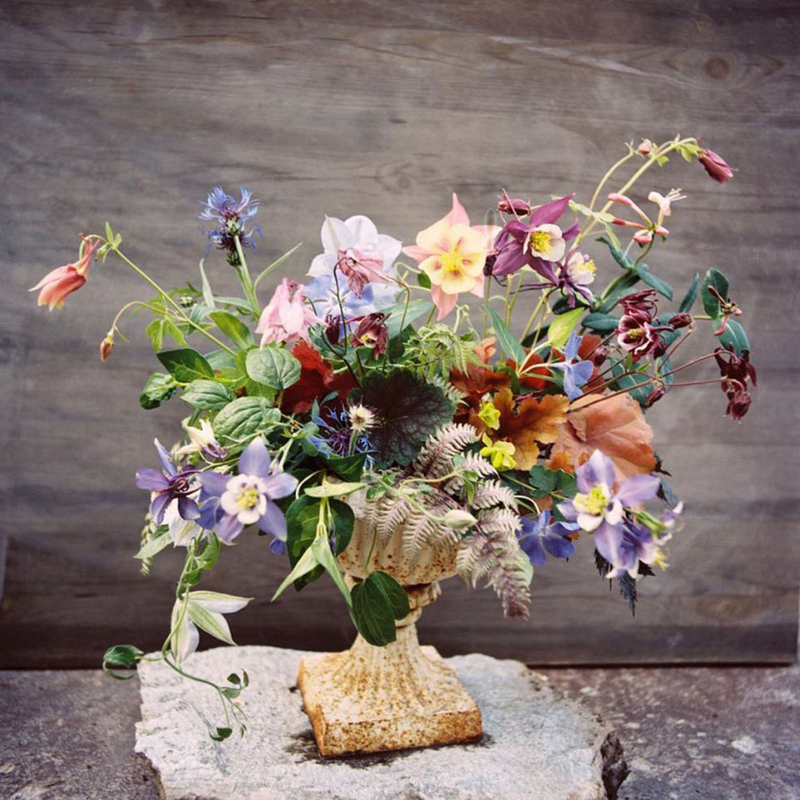 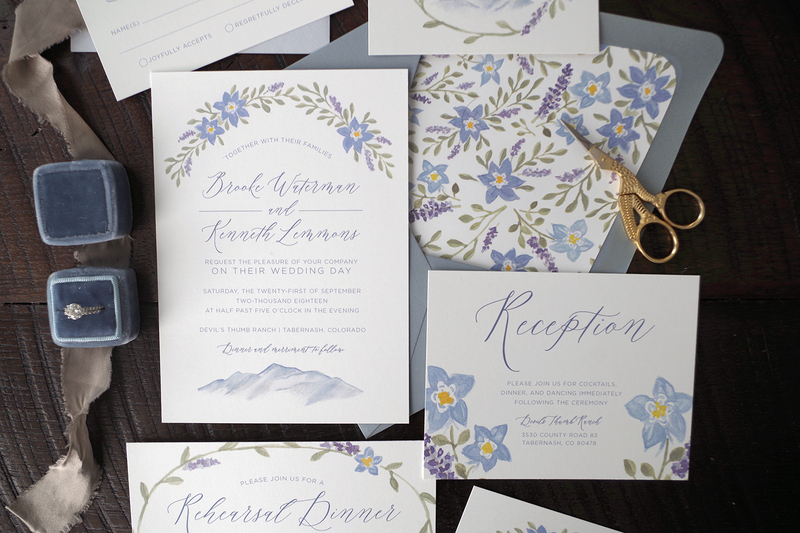 These dusty blue columbines are balanced with delicate watercolor mountain ranges reminiscent of the beautiful Rocky Mountain ranges we know and love. 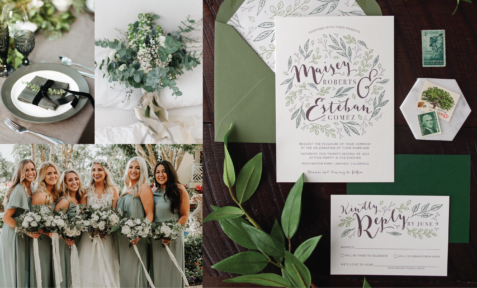 A delicate, wispy calligraphy font is juxtaposed with a modern sans serif font for a text layout this is elegant but clean. 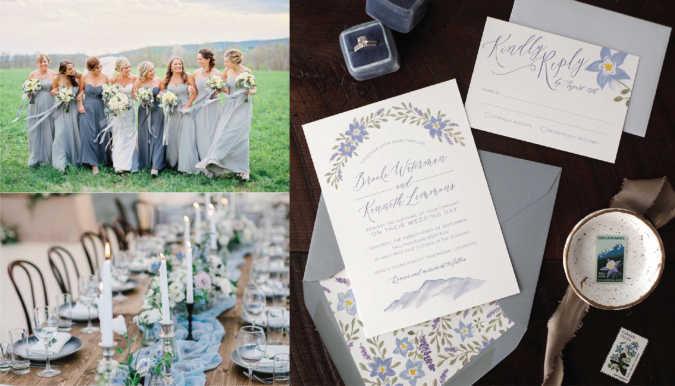 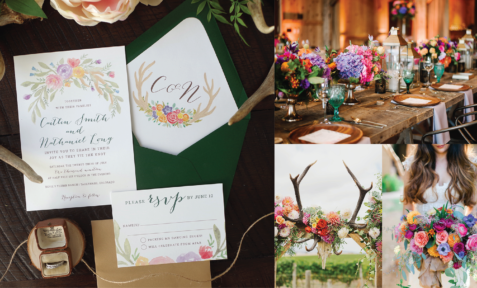 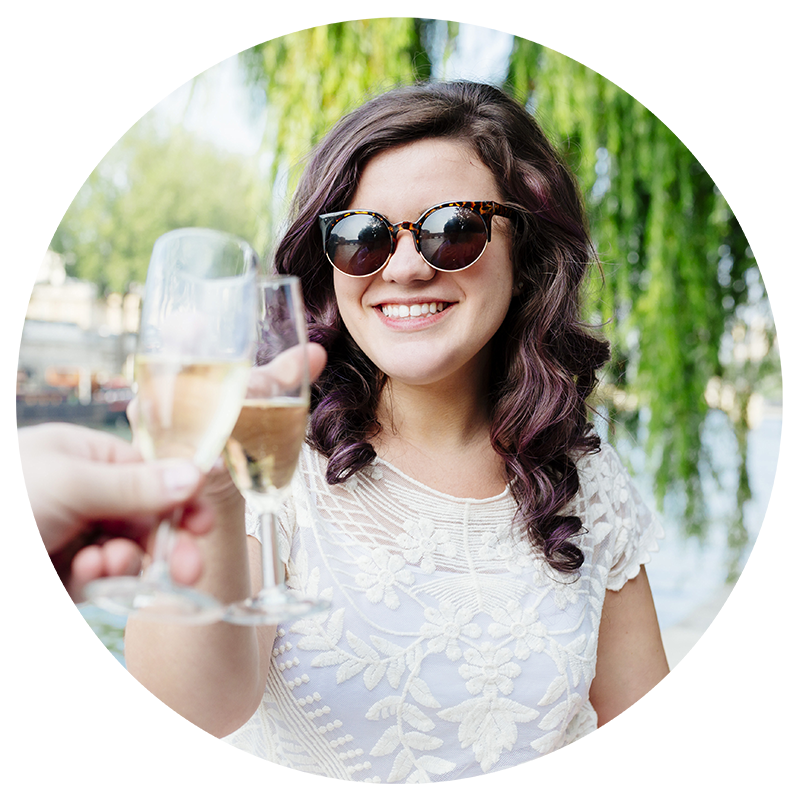 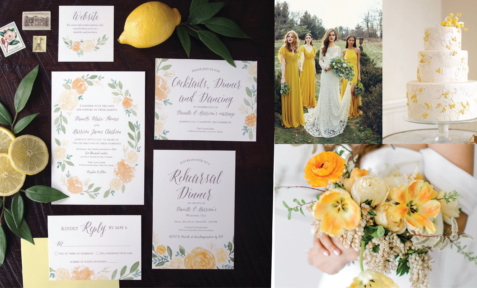 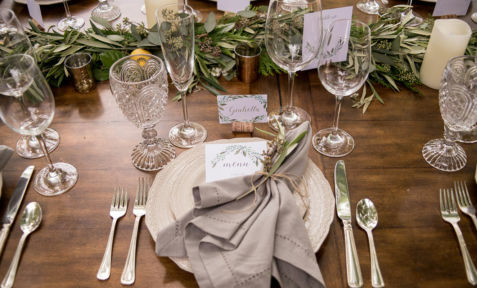 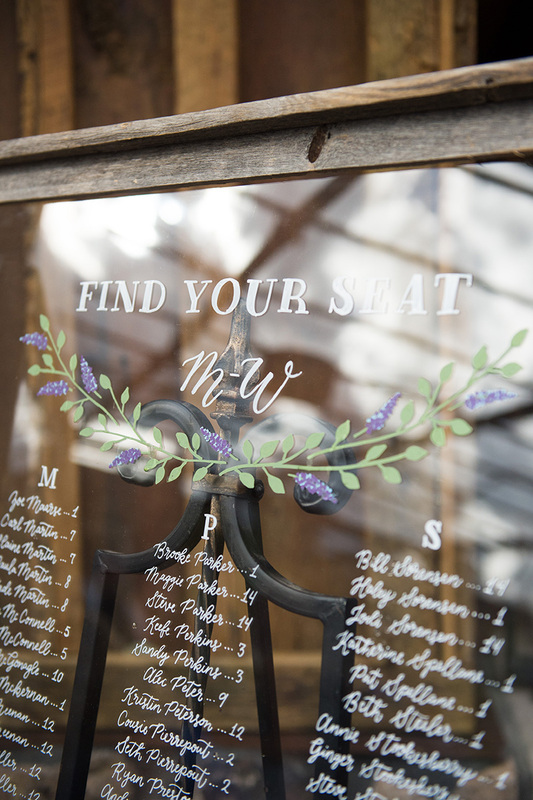 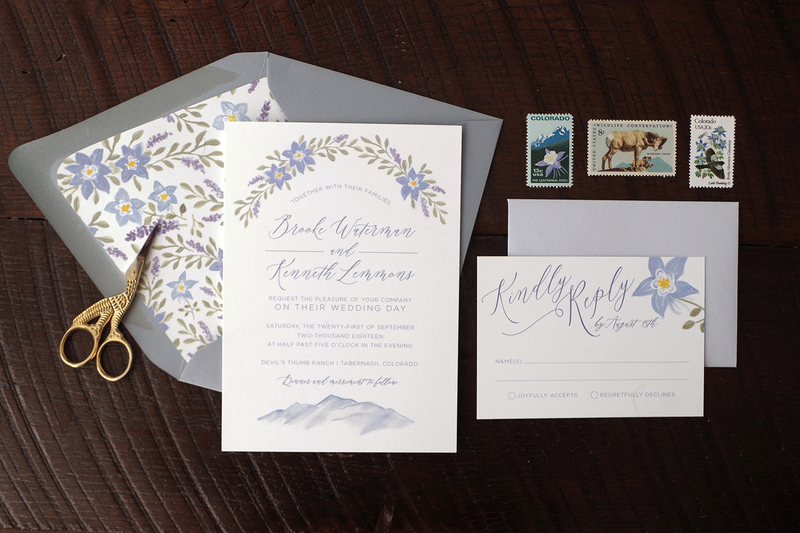 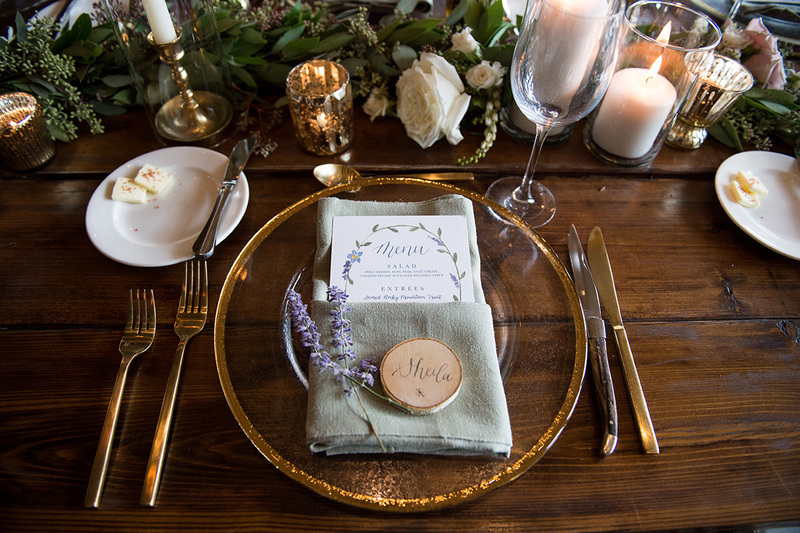 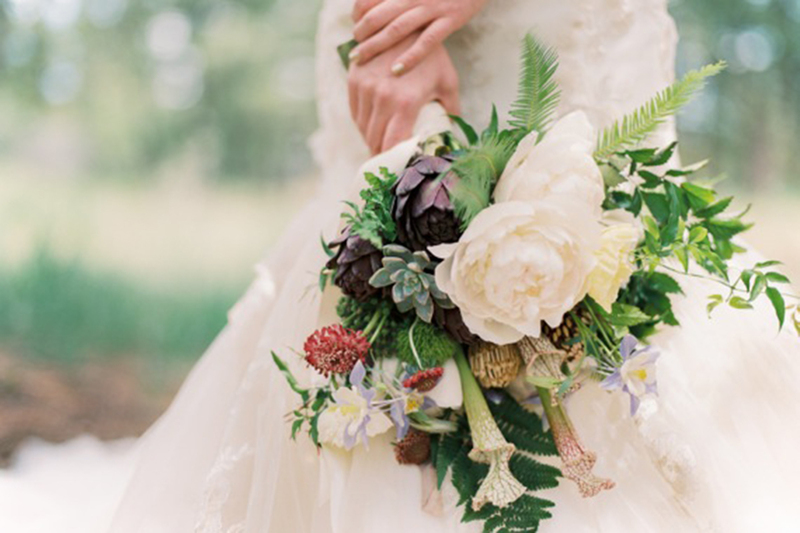 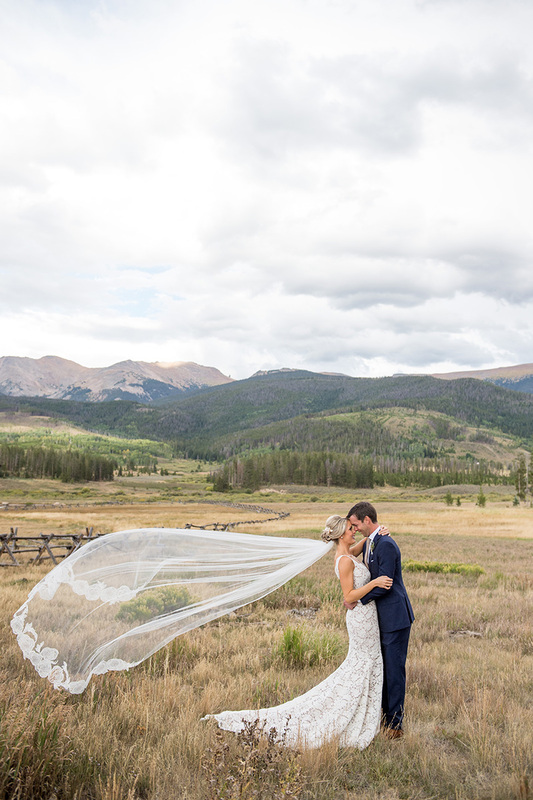 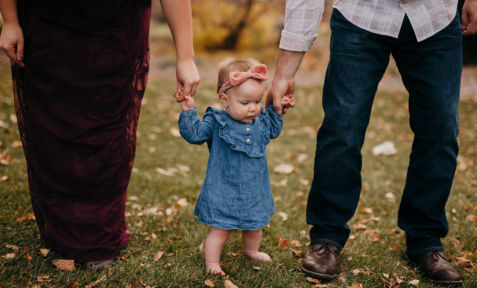 The Brooke Wedding Invitation Suite would be great for a classy dusty blue mountain wedding, a fun spring Colorado wedding – or really a destination wedding in the Rocky Mountains any time of year! 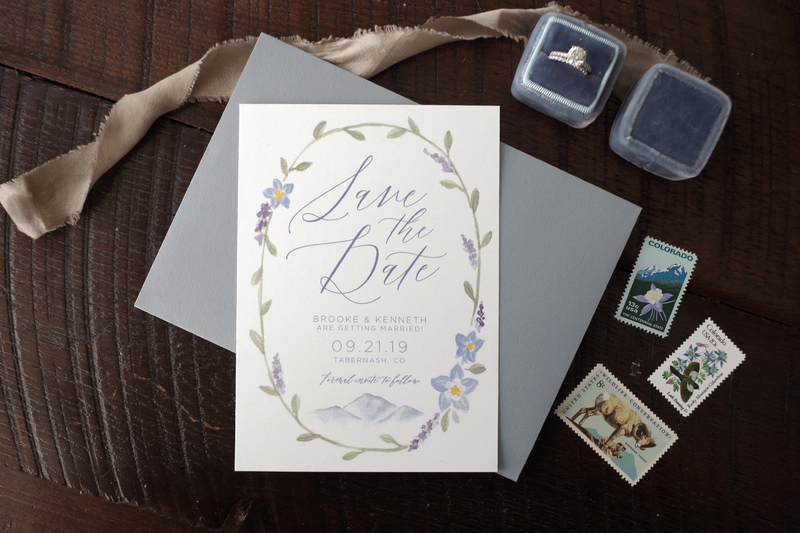 Save the Date // Wedding Invitation // Reply Card // Envelope Liner // Reception Card // Welcome Dinner Invitation // Information Card // Website Card // Thank You Card. 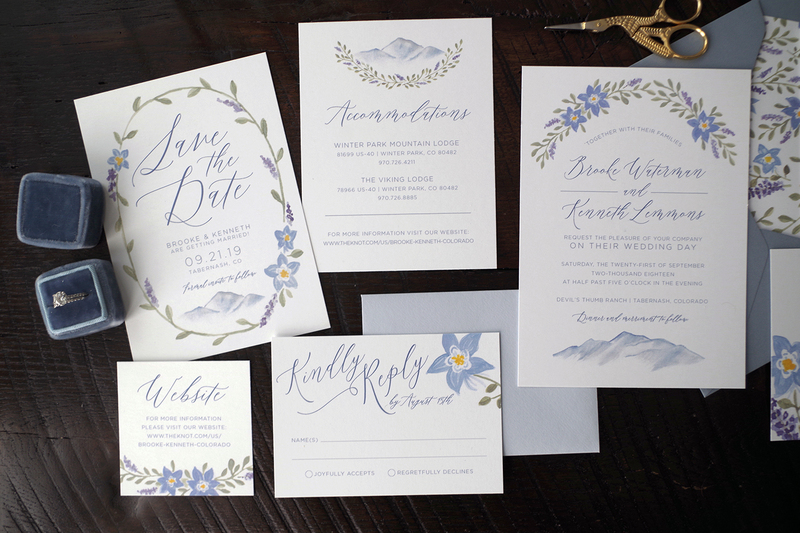 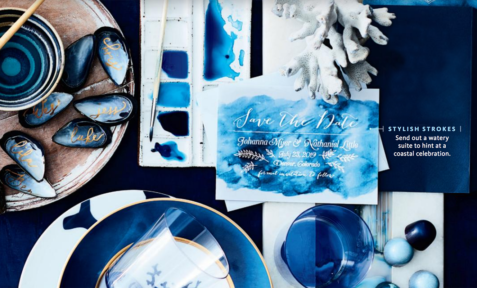 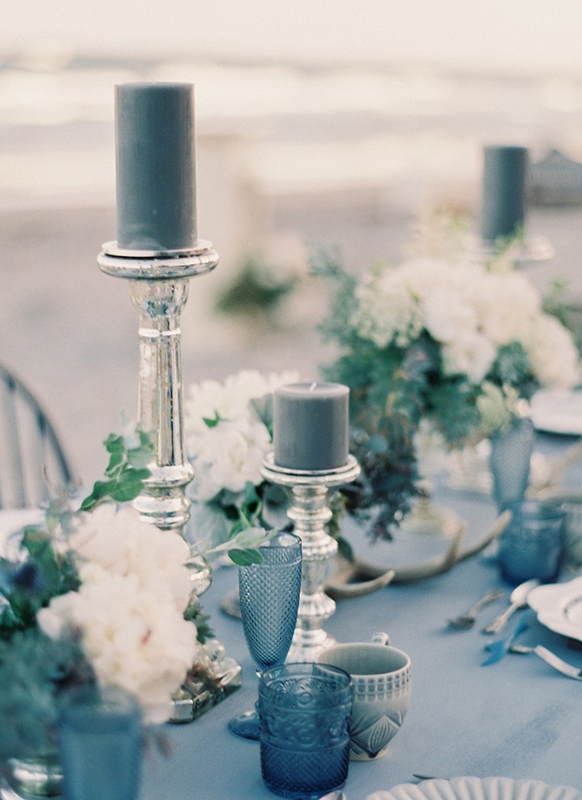 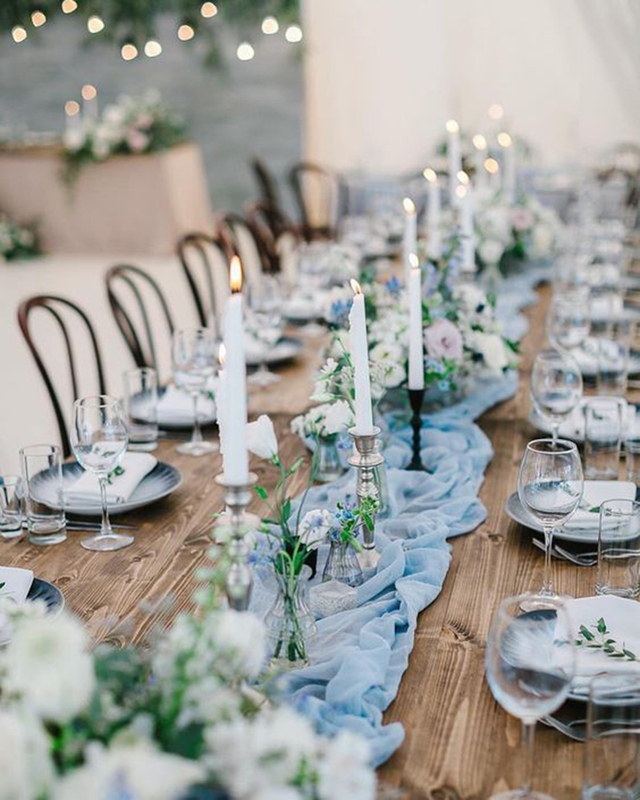 Check out more dusty blue mountain wedding inspiration below and purchase these Save the Dates or Wedding Invitations on Etsy now!